As a result of strong interest by our members in the new Tax On Split Income rules put forward by the federal government and adopted by some of the provinces, our June webinar will be devoted to this topic. Participants will learn about the implications of the new rules and how you can help your clients structure their affairs to minimize the impact of TOSI on their business. What are the major changes and how does this affect the average family SME? CRA view on enforcement and application of the reasonableness criteria tests? New Terms and what do they mean? Current structures (Holdco, Trust, Opco) changes required to improve tax efficiency. 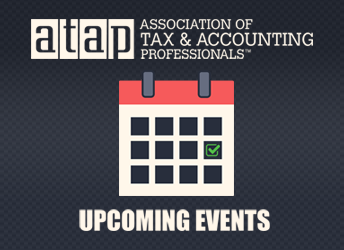 The next ATAP Webinar is scheduled for June 20, 2018 and will cover "Tax On Split Income". I was a bit overwhelmed trying to find an accountant. Thank you for helping me with the process. I'm very satisfied!